The holidays have officially arrived and to celebrate, the Bagel Bakery has created a new holiday drink for you to enjoy! 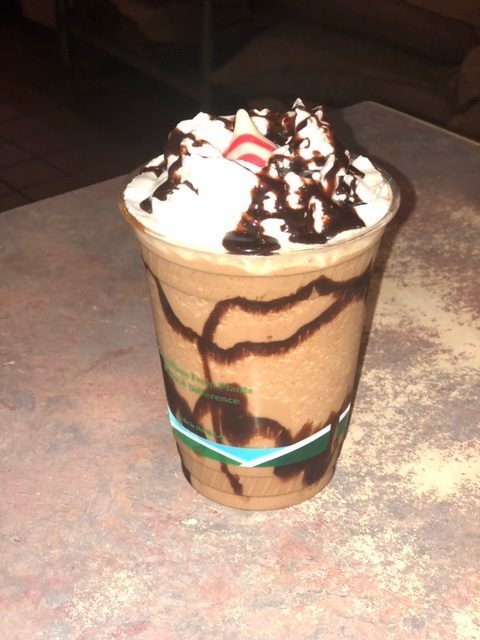 The Blended Minty Mocha is a sweet, frozen and delicious treat made with our house-made iced coffee, our mocha blend and a handful of peppermint candies. 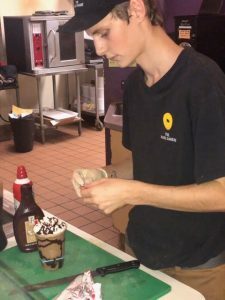 It is poured into a chocolate-laced cup and topped with whipped cream and a white chocolate peppermint candy. This drink is perfect for Floridians who want to feel the holiday season but who haven’t been able to pull out the winter coat yet because of the heat. Stop by the Bagel Bakery on weekdays from 6:30 a.m. to 4 p.m. or from 7 a.m. to 4 p.m. on the weekends to try our Blended Minty Mocha for yourself, you won’t be sorry! 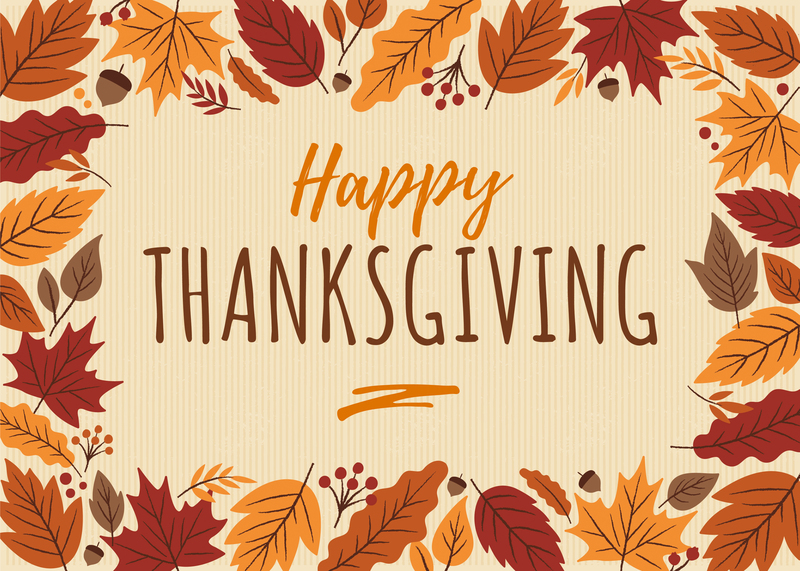 Thanksgiving began in the 16th century as a way for the Pilgrims to thank the Indians for all of their help with getting adjusted to life in America, but has evolved to be about so much more. 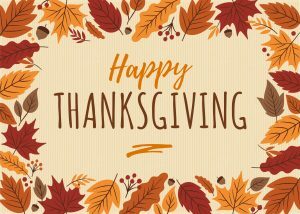 Today, American families gather on Thanksgiving to spend time together, celebrate all they are thankful for, watch the Macy’s Thanksgiving Day Parade and then football and eat an unhealthy amount of turkey. This year, the Bagel Bakery has decided to host a contest to see which family embraces the Thanksgiving spirit the most. In order to enter the contest, post a picture of your Thanksgiving on either Facebook or Instagram and tag the Bagel Bakery in it. We will choose the winner on Friday by 5 p.m. The winner will get $30 in Bagel Bakery money to spend on anything in the store! The judges (Bagel Bakery staff) will look favorably upon smiling faces, cute animals and Bagel Bakery bagels included in the picture! Happy Thanksgiving, from our Bagel Bakery family to you. 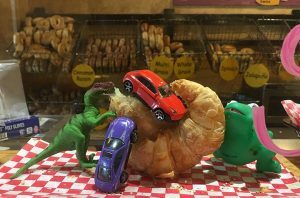 For about one week, Bagelsaurus Rex was even happier than usual with his life as the Bagel Bakery’s mascot because he had a friend. A small, green and playful frog came to keep Bagelsaurus Rex company. His name was Fred; Fred the frog. It was one week of playing, laughing and eating an unlimited supply of delicious bagels for these two forever friends. They both thought the fun would never end until Monday. Bagelsaurus Rex came back from his shift of quality-checking the bagels only to see that his bug-eyed, hoppy friend was GONE. Bagelsaurus Rex has not been the same since his pal went missing. We have sent search parties and taken all of the necessary precautions to recover the missing piece of our Bagel Bakery family, but have not had any luck yet! We are offering a free bagel and endless love from Rex to whoever can make us whole again and bring Fred back to us. Stop by the Bagel Bakery today for more information on how you can help us find Fred.